Medical billing certification is usually obtained by sitting for an exam that test your knowledge on a specific subject. Upon passing the examination you will be awarded a certificate that validates your knowledge by specifying the type of credentials you have earned through your testing. Although there is not a single certification standard, some type of certification is required in most places of employment. Who Should I obtain my education from? Medical billing certification can come in many forms and from many organization. It is important that when pursuing a career in medical billing that you obtain credentials that are nationally recognized by employers. The organization you choose to obtain your education from depends upon which type of credential you choose to pursue. This is a long standing organization and is the most recognized among the medical billing community. 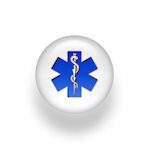 What is the difference between the four medical billing organizations? The history of AHIMA dates back 1928. They were first founded as the Association of Record Librarians of North America (ARLNA) by the American College of Surgeons for the purpose of more accurate record keeping. Through their history they have changed their name twice more and are currently known as AHIMA. From the beginning to the present their organization has been mainly focused around medical record keeping, clinical data, and health information. In addition to the four medical billing certifications AHIMA offers they also offer several medical coding credentials. Currently AHIMA is a globally recognized organization with a membership that is 53,000 strong. Individuals holding credentials from this organization are usually highly sought after by employers nationwide. The AAMA was founded in 1955. The purpose of this organization was to standardize education for individuals assisting physicians in order to improve the quality of care for patients. Through the years the AAMA has been on the fore front creating quality standards, implementing education programs, and developing curriculum. he AAMA is backed by the American Medical Association and currently holds the golden standard in this field by offering the Certified Medical Assistant credential for either the clinical or administrative focus. The AMBA was founded in 1998. This organization was created to provide a way for medical billers to network, to educate others, and to help standardized medical billing certification. This organization is still quite young and its credential is not yet a standard, but it is gaining recognition in the medical billing community. The organization is trust worthy, offers solid education, and offers a certification which is a nice compliment to existing certifications and/or higher education. Currently the AMBA holds a membership of 6,0000 and is growing. 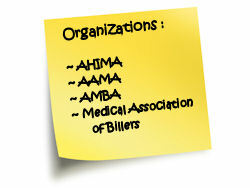 The Medical Association of Billers was created in 1995. This organization is education based on creating medical billing certification standards (similar to the AMBA). This is also a young organization that is gaining recognition in the medical community but is not yet considered a standard. The certification offered by this organization is a solid credential that nicely compliments existing education and/or certifications. What is the difference between all four of the medical billing credentials? The CMBS is offered by the Medical Association of Billers and the CMPS offered by the AMBA. These two certifications are somewhat equivalents. Both are offered by young organizations that are trust worthy, but are not yet standards. Although the education is solid, these two credentials are better compliments to existing education and/or certification. Individuals who are established in a career may wish to obtain these credentials for career advancement opportunities, cross-training, or other educational purposes. The Registered Health Information Technician (RHIT) credential is offer by AHIMA. This credential is one of the most recognized and sought after medical billing certifications in the medical billing community. The RHIT can be obtained sitting for the RHIT examination. In order to gain eligibility for the exam individuals must successfully complete the academic requirements, at an associate's degree level, of an HIM program accredited by the Commission on Accreditation for Health Informatics and Information Management Education (CAHIIM). Many colleges offer RHIT programs and are able to specify if they are accredited by CAHIIM. It is also common and highly desired for those certified with an RHIT credential to also hold a medical coding certification. The Registered Health Information Administrator (RHIA) credential is also offered by AHIMA. This credential is similar to the RHIT, only more advanced. It is well recognized and highly sought after for higher administrative, management, and executive positions. The RHIA can be obtained by sitting for the RHIA examination. In order to qualify for this exam an individual must successfully complete the academic requirements, at the baccalaureate level, of an HIM program accredited by the Commission on Accreditation for Health Informatics and Information Management Education (CAHIIM). Many colleges offer this program and can specify if they are accredited by CAHIIM. The Certified Health Data Analyst (CHDA) certification is offered through AHIMA. This prestigious credential validates expertise in medical billing and general health information. Individuals seeking executive positions or who wish to run large group practices may choose to make this medical billing certification their goal. The Certified Healthcare Privacy and Security (CHPS) credential can be obtained through AHIMA. This credential focuses on healthcare privacy programs and HIPAA regulations. Individuals who have a solid understanding of healthcare privacy laws and wish to create, implement, and govern privacy programs in large organizations or hospitals may choose to obtain the CHPS credential. The AAMA offer the CMA credential with one of two focuses, administrative or clinical. Medical assistants with a clinical focus are individuals who act similar to an LPN. Job duties include collecting specimens, rooming patients, and assisting in minor procedures. Medical assistant with an administrative focus usually work in administration positions. Job duties may include medical billing, medical charting, scheduling, pre-authorizing, and general business office duties. The education for both clinical and administrative focuses are the same, which enables individuals to move between the two environments when needed or if desired. This certification is also quite popular due to the numerous career opportunities and flexibility it offers. To obtain a CMA credential an individual must meet the academic requirements of an accredited medical assisting program. These programs usually run one year in length and are offered at most colleges and vocational schools. One year programs can also easily be transitioned into an associate's degree if desired. Programs for certification must be accredited by either the Commission on Accreditation of Allied Health Education Programs (CAAHEP) or the Accrediting Bureau of Health Education Schools (ABHES). How do I know which credential to obtain? Knowing which medical billing certification to pursue depends on several things. You will need to decide how much time you want to dedicate to your education, how much money you want to invest, and what your career goals are. 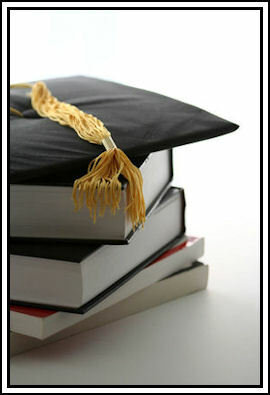 Obtain an associates or bachelor's degree that can be coupled with the RHIT, RHIA, or CMA certification. These three credentials are the most recognized and sought after in the medical billing industry. Adding a medical coding certification to any of these three options is also suggested. These certifications combined will not only give individuals a clearer understanding of the medical billing cycle, but offer a competitive edge over those who hold only the single certification. When choosing between which of the three to peruse you will need to assess your career goals. The RHIT and RHIA credentials are highly requested by large organizations and hospitals, but do limit individuals to administrative work. The CMA credential is more versatile, offering individuals the opportunity to work in both professional and facility settings as well as either clinical or administrative settings. Although the CMA credential is more versatile, if climbing the administrative ladder is your goal the RHIA or RHIT is a better fit. If salary alone dictates your education decision the RHIT averages a higher annual salary than a CMA, and the RHIA more than the RHIT. The CMRS and CMBS are both upcoming credentials that are nice compliments to existing education. The organizations that offer them are reputable and their education is solid and trust worthy. Although it is not suggested that individuals staring out in the medical billing field obtain one of these alone, career opportunities may be found by choosing to couple one with a medical coding certification. This is suggested for those who cannot invest years in education, but are willing to take an entery level position and work their way up. Career opportunities may be limited to small private practices in the beginning. Another option for individuals is to obtain medical coding certification first. These courses generally run six months long and only require individuals to pass the certification exam (CPC or CCS coding credentials). The credentials are nationally recognized and highly sought after by employers. This option allows individuals to seek employment within the medical billing cycle in a quicker fashion. This credential can then be held while pursuing higher education and medical billing certification. Later, once other certifications are achieved, individuals will have a highly competitive edge due to their dual credentials in both fields. Other credentials, such as the CHDA and CHPS, are not created for beginners and require several years of experience coupled with pre-existing education. These medical billing certifications are great goals to aim for, but not a starting point. 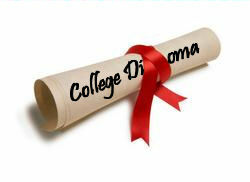 Those who desire to obtain the CHDA or CHPS should begin their career path by obtaining the RHIT or RHIA first. RHIT specialists average between $24,000 - $34,300 with less than 1year of experience. Annual salary averages grow to $36,900 for 5-9 years of experience, and up to $60,650 for 20 year of experience or more. The CMA certification is very versatile and requires the least amount of education. Programs run only one year in length but also offer the option of a two year associate's degree. CMAs also have the ability to work in both the administrative office as well as the clinical aspect. This cross-training is highly desired by physician's offices and offers the CMA multiple career options in several areas within medicine. Many individuals who hold a medical billing certification also choose to hold an additional medical coding credential.